Follow a small group scheduled tour that will take you to the most significant sites that are linked with palaeolithic art of the Dordogne. The tour will include the visit of the National Prehistory Museum that houses the largest collection of palaeolithic artefacts in the world. 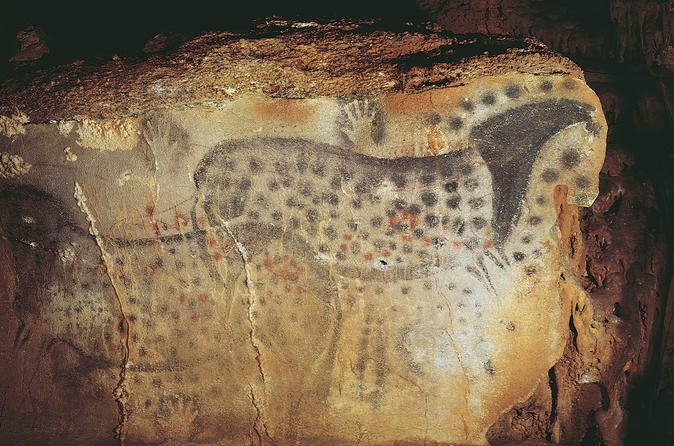 Then discover Lascaux II cave, a perfect reproduction of Lascaux, in which you will contemplate more than 90% of the paintings that can be seen in the original cave. Finally, admire the original engravings and drawings of Rouffignac cave coined the cave of 100 mammoths as the animal is here the most represented out of all the palaeolithic caves that can be visited. 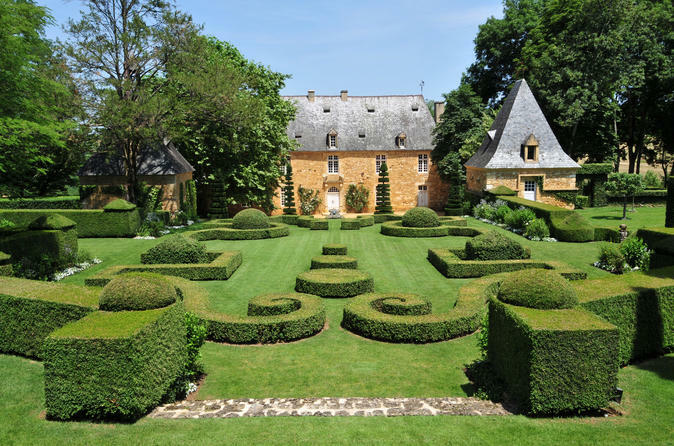 In the heart of the "Périgord Noir", between Sarlat and Lascaux Caves, discover 10 hectares of greenery sculptures. 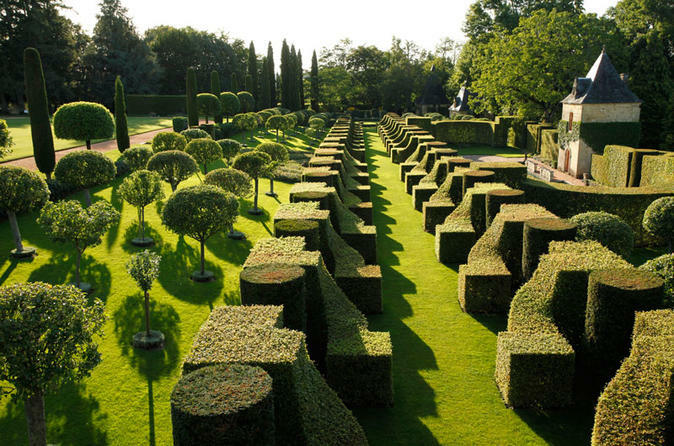 A unique example of Topiary Art in France with new worlds, more and more colourful: visit the 7 gardens as you wish and make the most of the 500-acre-forestry estate through a walk out in the country. 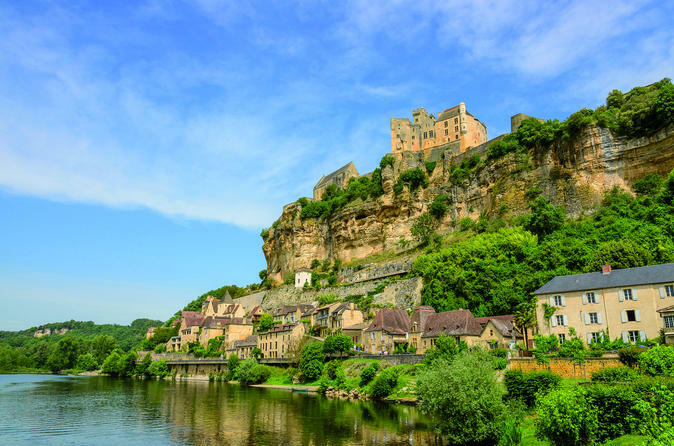 Enjoy a full day tour in the Dordogne area to discover the most significant sites that are located along this magical river. 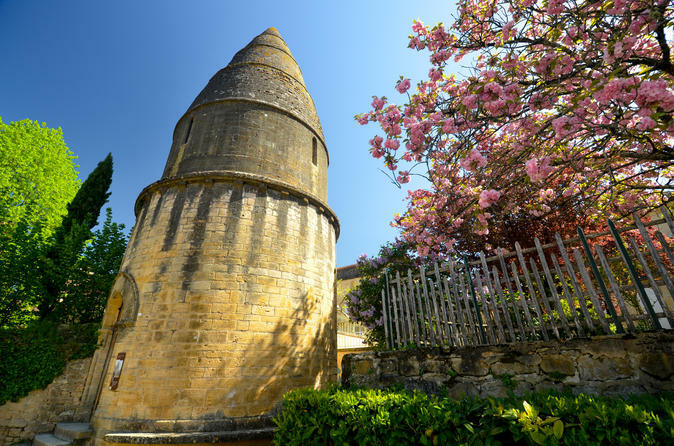 From mighty medieval fortresses to beautiful hilltop villages this day tour of the Dordogne valley will let you discover Castelnau, Milandes and Marqueyssac castles as well as unique stops along the way for wonderful photo opportunities. 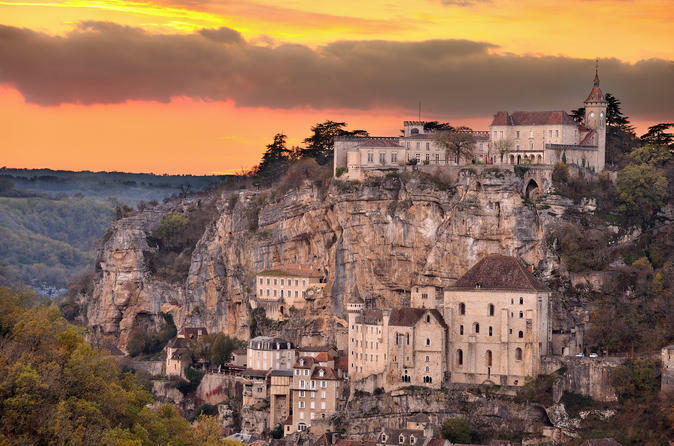 Small group tour that will take you to the Quercy region. 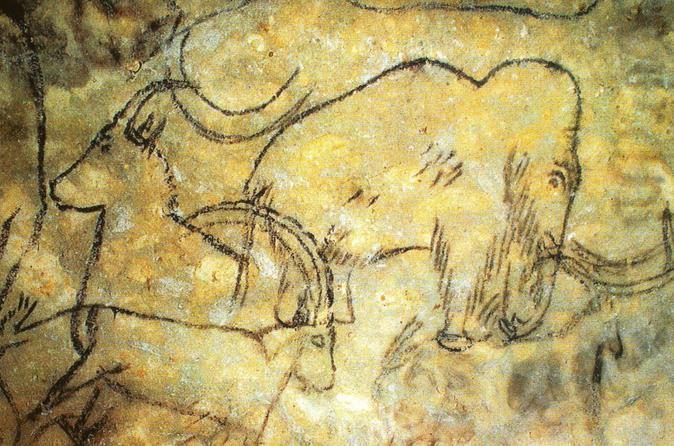 Here, you will discover the amazing cave of Pech Merle that still retains drawings and engravings that date back 22 000 years. After the visit, discover the quaint medieval hilltop village of Saint Cirq Lapopie. Finally, arrive in Cahors and discover one of the last fortified bridges of Europe. 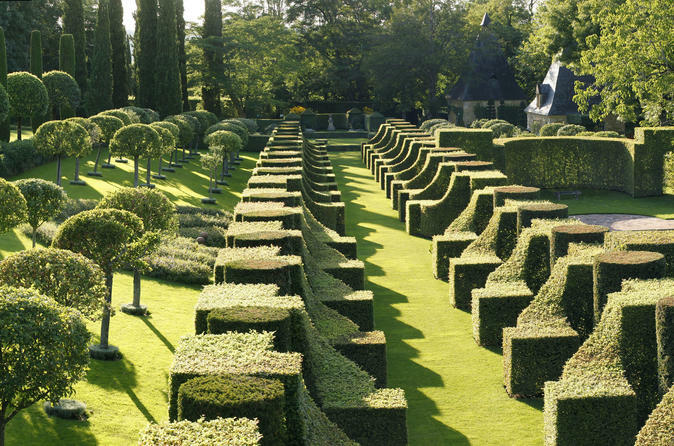 In the heart of the "Périgord Noir", very close to Sarlat, discover 10 hectares of greenery sculptures. A unique example of Topiary Art in France with new worlds, more and more colourful: visit the 7 gardens as you wish and make the most of the 500-acre-forestry estate through a walk out in the country. 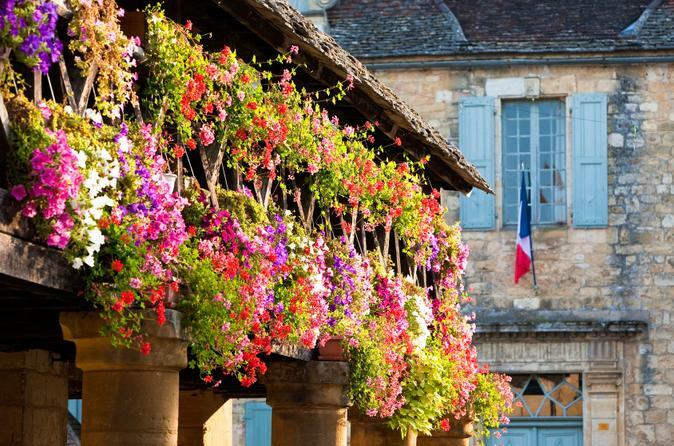 A full day tour to discover one of the most beautiful regions of France. Coined the "smile of France", the destination is scattered with medieval castles, quaint and picture perfect traditional hilltop villages, caves that still retain drawings and painting that date back to the Palaeolithic and some of the best food that can be found in France. The easiest and cheapest way to get on the internet here in Bergerac. Avoid the frustration of hotel WiFi that is slow and often doesn't work, forget about loosing your contacts and the limits of a French sim card: you own a personal and password protected unit, with unlimited and shareable data.